I never know whether I hate my naturally very pale skin because of my own opinion or that it seems to be the overall view in society today that young women should have a bit of a tan. Every television programme, every magazine and what seems the majority of young women in the street appear to have a tan even if it is minus 2 outside. I have tried on numerous occasions to get a nice, natural looking, fake tan. I can however name many times when this has gone wrong; I have become streaky or very unnaturally orange. When someone asked me if I was feeling ill because I looked so pale I decided to do something about it and chose to give Dove Summer glow in fair to medium skin a go. At £4.99 it is in the mid-level price for a gradual tanner, but if it gives me a nice glow and people don’t think I’m ill anymore it is worth it. It is a gradual self-tanner so the more you use it the more tanned you become. My first impression was that it smells nice, it has a nice somewhat fruity smell not like the off putting biscuity smell that fake tan has. 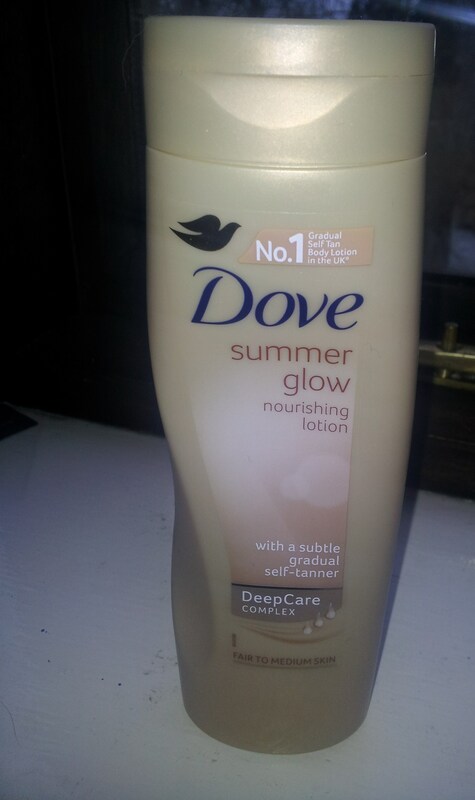 I exfoliated and used a fake tan mit to apply the lotion to try and avoid that streaky look. The next day I noticed I was looking considerably more tanned to what I did before. No more looking ill. I liked the result so much that throughout the week I kept applying more and more until I realised that I looked so unnatural, patchy and dirty so I ended up scrubbing my skin so hard, which just resulted in making me look like there was something terribly wrong with my skin. I asked a friend who is not as naturally pale as me to give it a go. At first glance she had a nice glow, however close up, especially across her neck it was incredibly patchy. 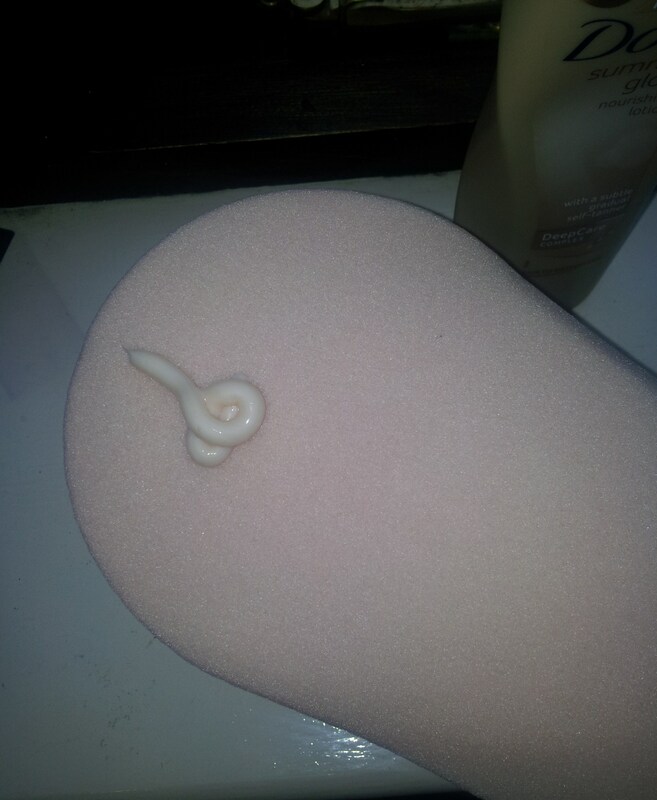 After I stopped applying the lotion it soon wore off and I was back to my pale self. If you use it for special occasions, exfoliate, use a fake tan mit and don’t go crazy with it, it works and you will have a nice glow. However if you want a darker, year round tan I wouldn’t recommend it. Top 3 under £10 foundations. I'm Erin, a 21 year old journalism graduate from North Yorkshire. I aim to share my thoughts and feelings on all things beauty, fashion and lifestyle. With a few random thoughts thrown in.